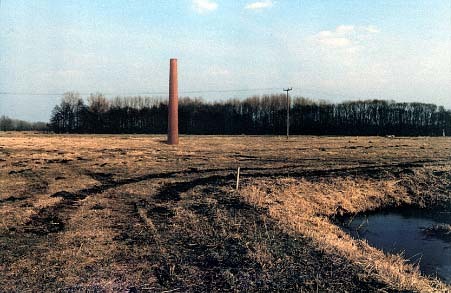 "Project for chimney, height 13 m"
oil on c-print on aluminium, 50x75 cm, 1996. Made for the exhibition Brandenburgische Kunsttage, Partie 4. Drewen, Germany, 1996. The Fourth Chimney was built, according to this image, in 1999.